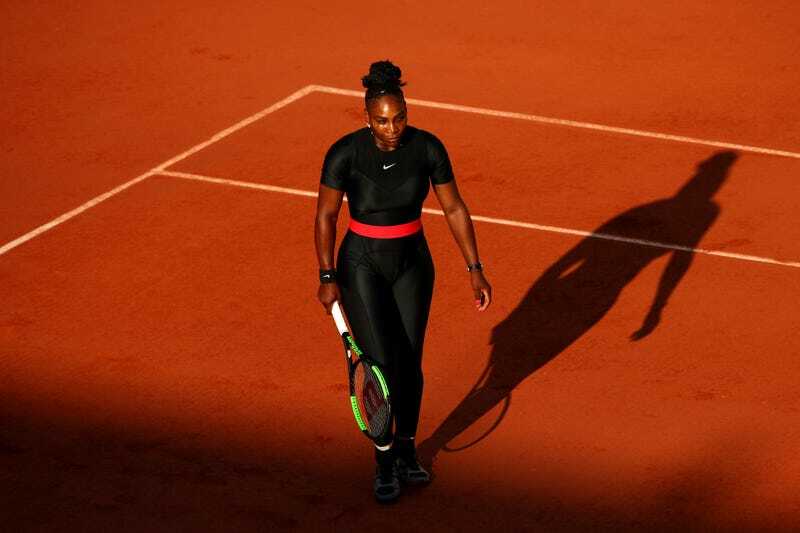 After being, uh, unsettled by Serena Williams’s “catsuit” at the 2018 French Open, French Tennis Federation President Bernard Giudicelli promised stricter apparel rules the following year, though not as austere as Wimbledon’s all-white mandate. But whatever he’s looking to do to eliminate his catsuit nemesis, he’ll have less ground to stand on. Giudicelli is still welcome to shield his virgin eyes, though. “It will no longer be accepted. One must respect the game and the place,” he said in August, referring to a simple black compression suit with a single horizontal red stripe. When even Mahmoud Ahmadinejad (or at least his Twitter handlers) speaks out in defense of women’s wardrobe choices, and you’re still standing your ground, you’ve got some internal work to do.